This dog ran surprisingly over the NH 3 in south Cambodia and caused a crash with a motorbike driver. Even a crash with a smaller dog would bring a motorbike to fall. On the roads in Southeast Asia many animals appear. Beside dogs there are also bigger animals as cows and water buffalos on the roads, sometimes quickly and surprisingly appearing. In the past there were scientific theories that most dogs were descendents of jackals, and only a few kinds descendents of wolves. That's proofed wrong meanwhile. Dogs origin mostly from wolves, some other related species are mixed in. 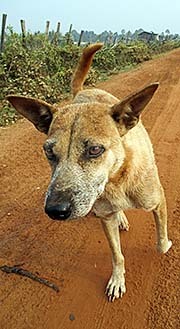 Though, in Cambodia there is a widespread kind of dog common which looks pretty much like a jackal. Ban Chiang in Isan is the oldest settlement in Southeast Asia, where the transition from a nomadic life to sedentary left many archaeological traces. The people of Ban Chiang kept dogs as lifestock; they served as guards, partially as company when hunting and finally as part of the diet. 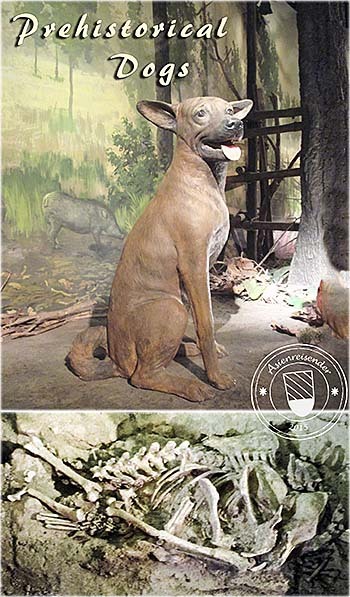 The upper image shows a model of a prehistoric dog in Ban Chiang National Museum, the image below shows the excavated grave of a dog. Wolves (and partially jackals) and humans live together since a very long time (estimations vary between 15,000 years or much, much longer, up to 150,000 years). At the beginning the beasts were following the early stone age human hunters and gatherers. For them as scavengers it was easy food to eat the remains of what humans left of their prey - mostly bones, probably. For the humans the beasts were helpfull being around their camps at night. In case a dangerous predator approached, the wolves would alarm the people by howling and barking. After finding repeatedly puppies, humans tried to raise them up and later trained them to help when hunting. When a prey was attacked by human wolves (now dogs, the genetic border between the species is still not completely clear), it tended to neglect the presence of the humans who attacked then additionally with spears and arrows. In Southeast Asia there are some kinds of wolves living, but very few individuals are still alive in remote parts of the countrysides. In the countrysides of contemporary Southeast Asia many simple people, the peasant populations, still live a live which reminds very much to the ancient past. They keep dogs still as they did over many, many generations. It was still in the mid 20th century, that occasionally tigers entered towns or villages at dusk or night time, as for example Norman Lewis reported in his travel describtion 'A Dragon Apparent'. However, verymost of the threats from wild animals are only history, due to the rampant mass extinction of animals particularly in Southeast Asia. 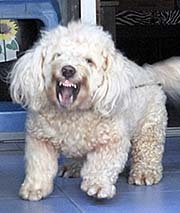 Nowadays dogs are kept for keeping humans (burglars) away and, in many regions, still as a diet. 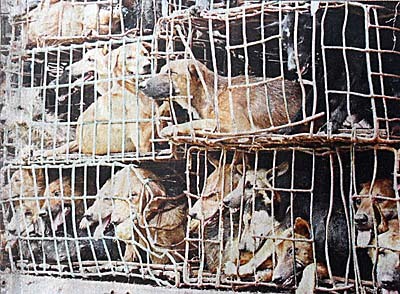 Here in Southeast Asia are masses of dogs around, so far the main population is not Muslim. For Muslims, dogs are a dirty species and have to be avoided. 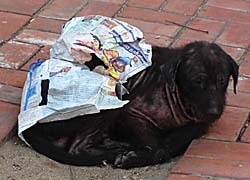 In fact they mostly kill them if they find strayers around and very seldom keep dogs. For the majority of Buddhists or the Christian minorities and the followers of the Chinese religions, dogs don't mean a religious problem. In fact, dogs are in many places part of the diet. 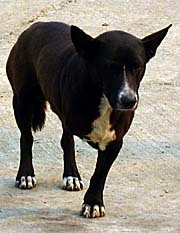 In Vietnam, Laos, Cambodia and among the Batak People on Sumatra dogs are kept as a kind of cattle or livestock, like water buffalos, pigs or chicken. In Batak communities there are dog butchers where people can sell their dogs to. The butchers produce sausage and all thinkable kind of meat out of dogs. If you don't like the idea, don't eat any kind of meat there, because you never know what you get on your plate, even if they claim it were pork or cow. They tell one what they think one wants to hear and what sells. Sausages are a particularly suspicious piece of food - you never know, what's in. 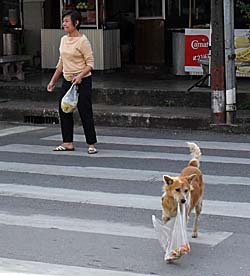 The worst country concerning dogs is definitely Thailand. Since Thailand is meanwhile a rich country with plenty of food and a great deal of overwheight people, eating stuff like insects and dogs is no more that common, although I am pretty sure it still happens in some places. Anyway, there are masses of dogs around in Thailand, a great deal is straying and appearing in packs on rural roads and also in villages, towns and cities. They can cause a lot of trouble and are dangerous here and there. Dogs can live pretty well with humans, because they are (as humans) a social organized species and can learn how to behave properly and integrate into a family. But also the real family dogs are frequently troublemakers. Dogs here are never leashed, always running free around. The mass of the people (everywhere in the world) has no idea about teaching a dog how to behave and setting it rules and limits. On the contrary, most people have no sense for animals and mistreat and abuse them frequently. Many dogs are not socialised (what's essentially for a dog) and become real troublemakers. So, dogs annoy people and even threaten them, and the owners frequently take no action but ignore it as everything were okay. Well, it's really so that Thailand is the only Southeast Asian country in which dogs are really a pest. They rule partially the roads and streets, and the Thai People do nothing or only little about it. In all the other Southeast Asian countries which I visited, dogs weren't such a problem. In Laos for example, what represents a very familiar culture to the Thai one, the dogs are very calm and I could always do jogging there without having a conflict with such a beast. 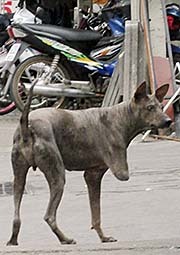 Thailand is notorious for it's really countless bad dogs. 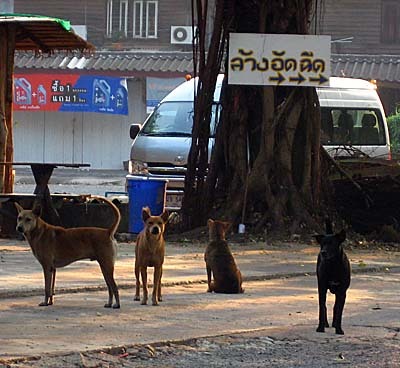 I remember a well-to-do neighbourhood in Trang, south Thailand, where two dogs every evening started to bark and howl to each other, continuing the whole night. 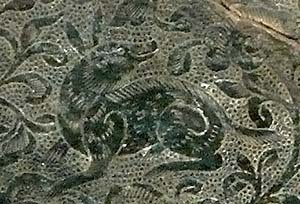 They belonged to a family of rich Thai/Chinese people, who owned a seafood factory. The dogs were annoying the whole surrounding, but the owners didn't care at all. Once it happened that an unknown neighbour managed to poison the troublemakers, and it was sweet silence for a fortnight. Then the family bought two new dogs and soon they misbehaved in the same way as well. Bad people, bad dogs. Rich people seem to have generally the strong tendency to be thoroughly antisocial. There is often no clear border between straying dogs and dogs kept by people. Sometimes, when hiking for some kilometers (particularly in Thailand) there are at any cottage dogs barking and coming close. When the dogs next door hear the noise, they come as well and it happens that a good dozen dogs are around me. That repeats again and again, at any house. Some are more aggressive, a few others don't care much. But there is always trouble with the beasts. Best is to take little notice of them and just pass by. And it makes more confident to have an umbrella or a stick in the hand, in the case one really needs it. One can't always be in the most relaxed mood to deal considerately with all the troublesome beasts - they are very sensitive for human moods and feelings. If they sense tension, they can make a hell of a barking and playing the dangerous hero. 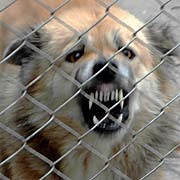 If a dog troubles or attacks a foreigner, most dog holders ignore it. It's the foreigners trouble. If the dog bites the foreigner, the Southeast Asian people would claim it's not their dog. Okay, it's living there and they feed it, but it's not their dog. If you kick the dog, it's accepted. If you kill the dog, then, most probably, it was their dog and they would demand compensation. A little advice: don't pay them, better bring them another dog from anywhere else. Or even more better, ignore them, as they are ignorant to the problems they cause. And beware of temples. Temple dogs are among the worst dogs. Recently I had a little surprise with two dogs in Tachileik/Burma when I tried to visit a local Buddhist temple. Another observation: dogs like to play the brave ones. Particularly when they are in packs. They always appear from behind. 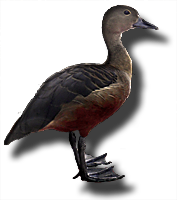 They let one pass by and at the moment they are out of sight, they might jump up and get aggressive or directly snap shut. One can not turn his back to a strange dog. All this trouble-making for nothing and their false behaviour lets them appear as a pretty cowardish species. I actually don't know any culture in which a dog is really appreciated. Most languages have a lot of negative expressions in relation with dogs. Calling someone a dog is all but a compliment. Dogs tend to bark a lot, and when one of them starts, others join. Barking and howling is a real annoyance, particularly when it lasts long, sometimes over hours, at nighttime. The blasted beasts are most eager to do that in fullmoon nights. 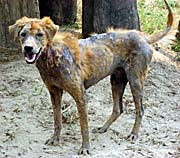 The most dogs in Southeast Asia carry a number of diseases with them. 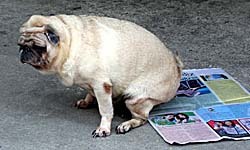 Parasites like flees and lice and worms are relatively harmless, but scabies makes the dogs already suffering a great deal, particularly when it get's worse and they loose all their fur and show their naked, partially bleeding skin. Also no protection against mosquitoes they have then anymore. It's letal sometimes. Worms are not nice, the beasts loose weight and look like skeletons after a time. 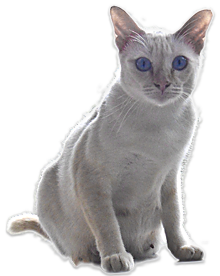 Most serious for people is rabies, and in fact parts of Southeast Asia (e.g. Thailand's northeastern region Isan) are notorious for rabies and on the WHO list among the worst rabies regions in the world. There is a great number of more dogs diseases. Watching dogs I often notice that most of the time they are scratching themselves. Dogs are also a risk for bicycle and motorbike drivers. Not only when a dog attacks a driver - also when they play with each other and suddenly cross the road, one, two or three of them. When a motorbike driver knocks over a dog, he will crash for sure. 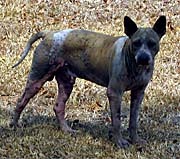 Straying dogs also mean harm for the wildlife. On the search for food they enter parks and forests and hunt wild animals. Whatever they catch they kill and eat. 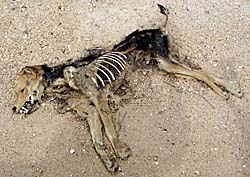 Besides, straying or belonging to people, they kill livestock as well. So, where are dogs actually good for in our modern world? Dogs are used by the police, the army, other institutions and private holders as man hunters, as drug dogs, as watch dogs, as hunting dogs. Not to forget fighting dogs. They cause a lot of trouble also in institutional context and are frequently loved by militarists and fascists. They are popular as weapons. That all does not make them more sympathetic, does it?. I have never seen a guide dog here, let's say for a blind person. And a dog as company? The dog as 'man's best friend'? Poor creature which needs such friends. Well, confessed, there are some, very few acceptable, even nice dogs. There are. Again: a dog needs at least a basic education; if that is not given, it turns out badly. Since a good training is normally not the case, there are many reasons to loathe dogs. With a really good, sophisticated training a dog can be a good companion.